It is certainly the season for elves. Great news, therefore, that the Social Care Elf has arrived to join in the festive fun, helping to build connections between research, practice and policy discussion. 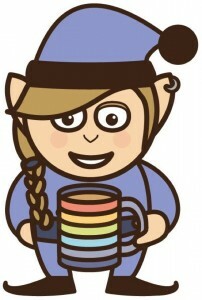 This may be the newest Elf, but we all hope that it will share many characteristics with its older brothers and sisters: busy and practical like Santa’s colourful little helpers; fair and wise like those graceful elvish characters in the latest Hobbit movie. The Social Care Elf sprung into life on 26 November, formally ‘launched’ (if that is how elves arrive) at an event at the Stationers’ Hall in London. It was an appropriate location. The Hall is owned by the Guild (or Company) of Stationers, which was set up in 1403. The Guild brought together booksellers who copied and sold manuscript books and writing materials, and limners who decorated and illustrated them. Printers joined them a hundred years later. So there we all were, many centuries later, launching an exciting new means of communication in the home of some of Britain’s first mass communicators. 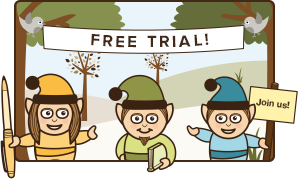 Even elves need to have parents, and the Social Care Elf’s genealogy needs explaining. The idea for some kind of digital tool to support knowledge exchange in social care surfaced during work that Anji Mehta, George Julian, myself and others were doing as part of the Social Care Evidence in Practice (SCEiP) project, and also through our activities in the NIHR School for Social Care Research. SCEiP was funded by LSE – where we all work – to explore ways to improve the translation of research evidence into practice (which you might have already guessed from the project title). Led with inspirational zeal by Anji, SCEiP has run many activities and explored many media, among them conferences and unconferences, seminars and webinars, blogs and video-blogs, comic books and infographics. SSCR is a national ‘School’ set up and funded by NIHR (National Institute for Health Research – the research part of the NHS), and I have been its Director since it was established in 2009. The mission given to SSCR by NIHR was to commission, conduct and use research to improve adult social care practice in England. Impact was therefore an obvious and central objective. At our various SCEiP and SSCR events – and through our various impact channels – many social care practitioners, managers and ‘officials’ were telling us that they wanted short, accessible, understandable, relevant research information. Usually they wanted that information to be readily available when they needed it. They believed (or at least they hoped) that there was research ‘out there somewhere’ to inform their day-to-day decision-making. And if the evidence wasn’t there already, then they wanted some way to help to shape new research to generate the evidence later. It soon became obvious that the best strategy was to get into bed with the National Elf Service, although now I’m worrying that ‘parentage’ may have been an inadvisable metaphor for this blog! In fact, Andre Tomlin – like some latter day Angel Gabriel, maybe – was immediately enthusiastic when Anji approached him, particularly because he’d been having similar thoughts for a while about adding social care to the other online resources of his National Elf Service, like the Mental Elf. 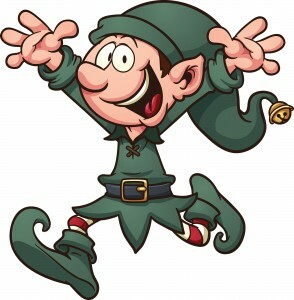 And so the Social Care Elf was…er…conceived…and born not in a stable but a Stationer’s Hall. 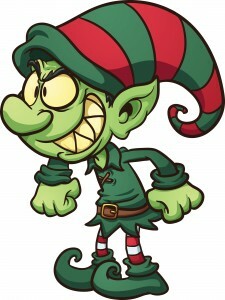 What hopes do we have for the Social Care Elf? Like many pushy parents, we want our offspring to be a high achiever. We want the Elf to help to get the best and most relevant evidence to those working in social care so they can use it in ways that have an impact on services and on people’s lives. But if evidence from research is to be used to inform discussion and thinking, then we need a good understanding of what those ‘users’ need and want. Here at the Social Care Elf we would therefore like to take advantage of your festive goodwill and ask you a few questions. 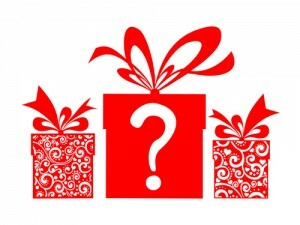 We have listed a few questions below, and we would really like to hear (read) your responses. Some are scene-setting, and some ask about the kinds of research you would find useful. Some ask for suggestions of ways to improve research ‘translation’. Please feel free to answer as many or as few of these questions as you like. How is research evidence used in your own organisation? What do you – or your organisation – want evidence about? That is, what topics are most relevant? Why do you think that using research is important for social care practice? 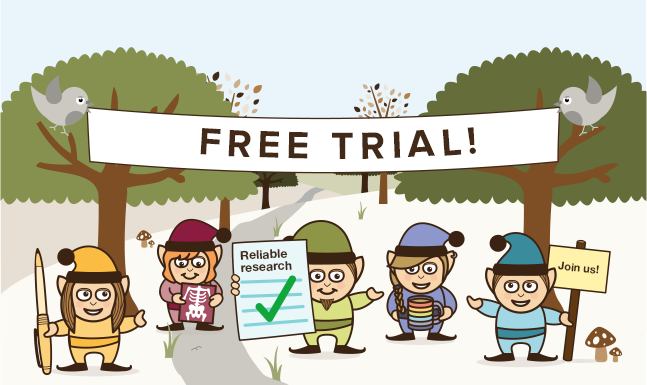 How do you think the Social Care Elf can help improve the use of research in practice? Is there anything else you’d like to suggest for how we can improve links between research and practice? To adapt that well-worn festive cliché, we hope that the Social Care Elf is for life, and not just for Christmas. If we are to get the most out of it we would really like to hear from you. 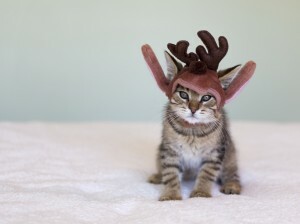 Yes, it’s a Christmas kitten. Well this is the internet. Designed to share knowledge. And pictures of kittens. Martin Knapp has been Professor of Social Policy and Director of the Personal Social Services Research Unit at the London School of Economics and Political Science (LSE) since 1996. Since 2009, Martin has also been Director of the School for Social Care Research funded by the National Institute of Health Research. Until early 2014 he was also Professor of Health Economics at the Institute of Psychiatry, King’s College London, having established the Centre for the Economics of Mental Health there in 1993. Martin’s research emphases in recent years have primarily been child and adult mental health, dementia, autism and long-term social care, with much of his work having and economic focus. 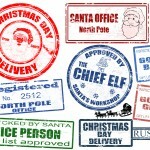 @SocialCareElf You win the prize for best elf blog title this year! Ooh ooh, can I be the hind legs of the donkey!? @OxBEL @SocialCareElf @Mental_Elf Wonderful in a technical kind of way but small correction. Elves are definitely not “it”, he and she! Okay Prof. I can’t use research evidence in my organisation because it isn’t there. The practice is there, being successful, massively enhancing the quality of life and life chances of young people with autism and their families but there’s no research to back it up. The people implementing the practice are not researchers or academics. They don’t have access to research circles or funding or even to anyone who will listen. And yes, I’ve tried to get researchers (PhD students, University Professors) interested but they’re not interested in anything that doesn’t fit into their own current way of thinking or their own research agendas. So my question to you is how can you (academics) facilitate research to be undertaken on approaches that are having success at the coal face but are not being taken on board by the research community? How can a dialogue be started between lowly, badly paid but passionate coal face workers who can provide compelling evidence (obviously not peer-reviewed) of success and the lofty world of academia? I am absolutely with you Zoe: I’ve just read the ‘Nativity Elf story’ obviously this Elf thing is an in joke within Academia… it just illustrates the massive void between us (the people on the front line) and lofty chaps in lovely Guilds and ‘Colleges,…Sorry Mr Knapp but really? ….. I am a support worker desperately setting up my own business because i can not find anyone who provides the education needed for families with dementia…. the research was done in the 1980’s yet look at the situation now? I am doing the AlzSoc Dementia Friends Talks and they are ‘simple and basic’ yet the people that come to these talks are amazed and go away as if they have received manna from heaven…. so who are the people that are NOT doing there job? The reason that the National Elf Service, and the Social Care Elf exist is to support people in your position – those who do not have the same access to research that academics do. We think that it’s essential that practitioners, service users and carers as well as others get access to critical summaries of practice-relevant research written in clear ways. Our bloggers are from practitioner, user and carer backgrounds as well as academics. Some academics who are bloggers have themselves been practitioners, service users or carers. You’ll also see in my reply to Zoe that one of our aims for next year is to provide online platforms for practitioners (and service users and carers) to discuss practice and research in ways they may not have done before. Hopefully this will contribute to closing the practice/research gap in some small way. We wish you well in setting up your business and hope our resources can help. @Zoe Thompson Thanks for your comments and questions Zoe. You highlight a big problem for many people working in (and using) social care and health services – the lack of practice-relevant research evidence and lack of access to research. It’s a complicated issue but one that the School for Social Care Research is trying to tackle by efforts to bridge the gap between academe and the coal face. If you get in touch with our blogger Mike Clark who works there he’ll be able to tell you how you can get more involved in their work. It sounds as though you have valuable knowledge about research and evaluation of promising practice on the ground. Among other things, the Social Care Elf project aims to make research more available to organisations and people who may not have the kind of access academics do. One of the things we ask bloggers to do is assess how relevant research studies are for practice. We’re currently developing new initiatives which aim to get academics and practitioners talking together so those on the frontline can discuss what they see working with academics who can (then hopefully) help them to evidence this with research (well that’ll be the aim anyway!). Watch this space and please think about joining us when we start these new initiatives in a few months. You may also be interested in the Child Elf, which will be launched soon.